There are several aspects to good biblical interpretation. Some are obvious such as authorial intent, and the specific overriding the general. But there are some considerations that are more subtle. Two that I would like to consider here are breadth of scope and underlying intent. Submit one to another out of reverence for Christ. Is this all people to all people, or some people to some people? Both are possible interpretations. I think the context of the verse, and the subsequent examples answer this question, nevertheless there is disagreement between those who advocate all Christians should submit to all other Christians, and those who advocate that Christians are to continue to submit appropriately to others over them. Or consider the Sermon on the Mount. Some advocate that Jesus is teaching a new way of acting for all men and institutions: abandoning ideas like retaliation and justice and replacing them forgiveness and mercy. Others suggest this is directed at individuals and therefore is inapplicable to the state. Still others may specify that the sermon is even more limited being directed to Jesus' followers. A broad interpretation leads to quite different ideas about the role and extent of government than a narrow interpretation; both camps arguing for contradictory things yet both appealing to Scripture. Underlying intent is even more subtle, yet very important, and probably open to more disagreement. It is important to establish what kind of situation the Bible is talking to, what are the underlying elements, the foundational concepts. For example the Bible talks a lot about orphans and widows. It seems very natural to extend this to modern orphans and widows, however one should also address why God talks about orphans and widows the way he does: what was the reason for God's concern, and are those concerns applicable to contemporary orphans and widows? They may be, or they may still apply to orphans but not widows, or there may be other categories of people these concerns also apply to. While there may be valid debate around the breadth of meaning and the underlying intent, getting these wrong may still lead to error, and a key to right meaning is correct focus. I read with interest Young Mr Brown's post Is libertarianism compatible with Christianity? and Mike T's posts on Problems facing a "Christian Libertarianism" part 1 and part 2. I have increasingly developing libertarian tendencies, perhaps in part because of the increasing role the state in the West wishes to assume, though I am possibly better described as a minarchist. The philosophy that holds that the ultimate political value is the freedom of the individual, and that the most effective way to uphold that freedom is to limit the scope of the state to those activities which directly defend that freedom. A lot of libertarians speak about "self-ownership" being the basic principle of libertarianism, though I find that philosophically problematic, and don't accept it. For libertarianism, the highest good is liberty and human autonomy. For Christianity, the highest good is summarized in the first commandment which is to love Lord with all of one's strength, above all things, and render obedience to the same. And goes on in his 2 posts to discuss the problems this raises. While I think that libertarianism is compatible with Christianity, the reason Christians hold to it differs quite fundamentally from many who hold to freedom and autonomy. Firstly, I think Christianity does value liberty, at least in thought, but also in action. Freedom to think and hence act in ways that God approves is foundational. To force a man to act against his conscience is damnable. God calls us to obey him buts gives us the freedom to do this. So our freedom is not the freedom of a libertine, but that of a bondservant; one who enters into a relationship freely, but is constrained within such relationship. Secondly, the Christian recognises that man is fallen. We are broken and we rebel against the good. Without God we choose our own way. But even belonging to God we battle the sinful desires of the flesh. So a free person will not naturally choose good paths. Fathers, community elders, and national governors are required to punish errant people, especially when they infringe on their fellow man—the libertarian position. So the Christian values liberty in order that man can serve God, and the Christian knows that men will choose evil, at least in this current age. Neither of these positions may necessarily be held by an unbeliever. This claim means that we are answerable to God for our behaviour. Despite denying self-ownership, the Christian does hold to autonomy, or at least a variant of such. Autonomy is defined as the right to self-government whereas the Christian subscribes to the responsibility of self-government. It is not defending the right of men to do what they want, but the realisation that we are answerable to God for the responsibilities we are given, one of which is the governance we choose to have over our minds and bodies. This is not to say that we bear 100% of the blame for all our choices, but ultimately each man is answerable to God for how he acts. Nor does it mean that we are only responsible for ourselves, we bear some blame if we encourage others in rebellion against God; and we may have added responsibilities as a father, an employer, or as a politician. If the greatest commandments are loving God, then loving man, then freedom to do so is important. And these acts are voluntary, they mean nothing if done under compulsion. Thus liberty to do so seems consistent with Christianity. But just as the responsibility of self-government points toward liberty, the fallen nature of man points away from excessive state control. There can be little doubt that while good leaders have done good for their people, evil leaders have done much damage. Open wickedness may be obviously wrong, but excessive control is frequently harmful. Further, if we allow for a large state when we approve of our leaders, the same state can do proportionally more damage when bad men come into power. Further, even if leaders don't seem overtly evil, our fallen nature affects our reason. So government that seeks to interfere in the lives of men will frequently do so in the wrong way. Policy that seems kind may lack justice. Provisions that alleviate suffering short term may exacerbate it long term. Laws that give men positive "rights" may severely restrict others' negative rights. Basically the detrimental effect of the fall on the ability to reason means that men can and do reason wrongly. And even if they reason rightly they may lack the will to do right. By restricting the role of the government to that of justice, and in that to punish wrong rather than to create good, the fallen man is limited in his ability to do evil. Given that probably far more people have died at the hands of government than have died at the hand of bandits throughout history, restricting leaders seems more essential than restricting citizens. It has been questioned why dragonflies have 2 sets of wings. 2 pairs of wings add nothing to lift, it is thought the second pair decreases lift, nor manoeuvrability. Instead of an second set of wings, flies have halteres which function as gyroscopes and give them significant manoeuvrability. Dragonflies are still highly manoeuvrable—they can appear stationery from the vantage of their moving prey—they may just use a different mechanism to flies. Modelling of dragonfly flight suggests that 2 sets of wings can decrease energy requirements if they beat out of phase. 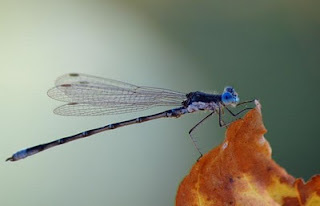 So a second pair of wings decreases the energy requirements of dragonflies by a significant amount. A useful design feature and seen elsewhere in the biosphere—V formation bird flight decreases energy requirements by half by decreasing drag. The fraud surrounding Piltdown man is well documented. In a recent article from the Answers Research Journal Jerry Bergman notes that not only fraud, but also abysmal science, infects the historical science of paleoanthropology. In a field based on little empirical evidence, many assumptions, and strong personalities, the bone wars illustrate the conflicts common among scientists in this area. The unprofessional and at times even fraudulent behavior of the leading participants is far from what one would expect from highly trained professionals. It's an odd coincidence that those who love Jesus and hate Jesus are both happy he died. Like many I assumed the situation in Somalia is appalling, with no government, abject poverty, and the frequent mention of Somali pirates in the news reflective of the anarchy thru-out the rest of the country. So I read with some interest Peter Leeson's 2007 article published in the Journal of Comparative Economics, "Better Off Stateless: Somalia Before and After Government Collapse" (doi:10.1016/j.jce.2007.10.001). Now Somalia is no utopia, but Leeson makes the point that it is better than it was, and not as bad as it could be. While it is important to avoid romanticizing Somalia, the results suggest that statelessness has substantially improved Somali development. I find that on nearly all indicators Somalia is doing significantly better under anarchy than it was under government. Somalia was ruled by General Barre from 1969 until 1991 after he overthrew the previous government that had obtained independence from Britain and Italy less than a decade earlier. Civil war from 1988 to led to loss of government in 1991 which has continued since then with various groups claiming sovereignty over parts of the country. Leeson establishes his thesis by comparing the status of several indicators of societal health in the years prior to 1991 and the years prior to 2005 after more than a decade without official government. The markers are limited in scope because of the difficulty obtaining reliable data. GDP per capita (PPP constant $) 836 600 ? So of these 18 indicators, 14 show improvement, 1 is stable, and 3 are worse. And Leeson argues that the GDP prior to 1991 is over stated for 3 reasons including that foreign aid contributed to half of that figure. The article is well worth a read. Leeson discusses the history of Somalia, mentions some examples of recent progress, and addresses potential alternative claims. He acknowledges there is a way for the country to go, and that Somalia may well do better under good, small government; but he makes the point that people may do better without government, than with bad government. there is a tendency upon observing problems in distressed regions of the world to see only on the “failure” of the current situation, ignoring the quite possibly even worse state of affairs that preceded it. ...Although a properly constrained government may be superior to statelessness, it is not true that any government is superior to no government all. comparisons suggest that anarchy has improved overall development. Contrary to the typical case, in Somalia social welfare has improved because of, rather than despite, the absence of a central state. Somalia’s government was oppressive, exploitative, and brutal. The extent of this predation created a situation in which social welfare was depressed below the level it could achieve without any government at all. The emergence of anarchy in 1991 opened up opportunities for advancement not possible before government’s collapse. In particular, economic progress and improved public goods provision in critical areas flourished in the absence of a monopolistic and corrupt state. I think it is likely that this number refers at least to Nero. If this is the case it has implications for the dating of the book of Revelation which I think was written prior to 70 AD. In this passage we note the the number of the beast is the number of a man. This does not necessarily mean that the beast is a man, just that the number of the beast is the number of a man. The number of a man may be the number of the name via gematria. Nero Caesar's number in Greek is 1337, but his number in Hebrew is 666. The call for wisdom may have meant that the number needed to be calculated in Hebrew, not Greek. The association with Nero is very ancient, almost certainly as old as the book of Revelation. Nero Caesar does not have a gematria in Latin (that I am aware of), the Latin numbering scheme does not lend itself to this. But transliteration of Nero Caesar from Latin to Hebrew gives the number 616 which is mentioned in several manuscripts of Revelation. This confirms that the authors of the variant manuscripts thought Nero was intended. Below are the calculations. Though Nero's gematria in Greek is given by Suetonius without the Caesar resulting in 1005. In ancient Hebrew the letter glyphs doubled as numeral glyphs, the same symbol could be a letter or a number depending on the context. Written Hebrew did this several centuries before Christ. In Hebrew the glyphs for the numbers 400–900 are final forms (the alternate shape of letters when they are the last letter of a word) and I am uncertain how old they are, or if paleo-Hebrew had glyphs for higher numbers. The higher hundreds can be written as a combination of the lower hundreds glyphs. Greek used a similar system called the Milesian (or Ionian) system which replaced the earlier Attic system. The Attic system was somewhat similar to the Roman system. Greek uses 3 glyphs that had become obsolete at the time it was used to allow numbering to 900; though the position of fau (Ϝ) leaves one curious as to whether it may still have been in use at the time the system was invented/ copied. Below are the Hebrew and Greek glyphs for the corresponding numbers. The lower case Greek was non-existent at the time of the New Testament. Thus 23 is written ΒΓ, and 799 is ΨϘΘ. Gematria is the association of words with numbers. The development of a word to number correspondence is understandable because the twofold sense of the glyphs. Every word has an associated number that is obtained by adding up the values of the glyphs read as numbers. For example the word king melek (מלך) is calculated as 40 + 30 + 20 = 90 (assuming 20 rather than 500 for kaph). David (דוד) is 4 + 6 + 4 = 14. This may be why Matthew included groups of 14 in his genealogy of Jesus. It is, of course, good to be environmentally aware, to fight AIDS and breast cancer, and to oppose bigotry. But before training young people to be social activists, they must first learn character traits – truth telling, financial honesty, humility, honoring parents and, above all, self-control. Before learning to fight society, people need to fight their own nature. The world is filled with activists of all varieties who are loathsome individuals.